If you are planning to invest in the stock market, you might have surely come across views and beliefs that are nothing more than myths. Some of these myths can push you away from the stock market while many others can encourage you to end up making grave mistakes. 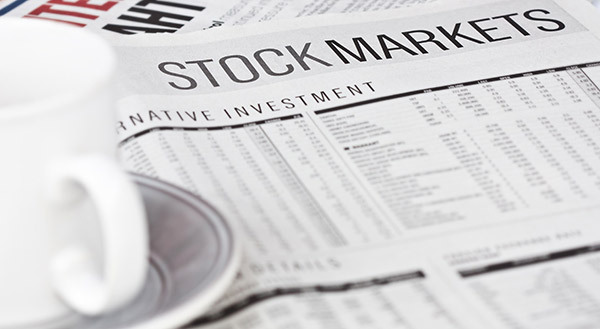 Read this post to know 5 of the most common myths about investing in the stock market. The Indian stock market is known to be highly rewarding but risky at the same time. Most of the Indians generally focus on this “risky” part and prefer staying away from investing in stocks. One of the biggest reasons for this is lack of knowledge or misunderstanding of how the stock market really works. People who are too scared to invest or have misunderstood a particular concept are often found spreading myths that are far from the truth. Search for stock market investment posts on the internet, and you are sure to come across many such myths. If you are serious about stock market investment, it is essential for you to understand what is true and what is not. If you want to earn handsome returns on your investment, you surely need to carry some amount of risk. But when it comes to the stock markets, people generally believe that it is similar to gambling and full of unwanted risks. Such myths are generally spread by people who wanted to earn quick profits from the market and were too inclined towards intraday trading. Enter the market with a disciplined and patient approach, and you’ll see that stock market investment is not as risky as people claim it to be. This again is not true. In fact, most experts agree that you should invest small amounts on a regular basis to make most from your stock market investment. The similar approach is followed by SIP in mutual funds too, and they seem to be doing pretty good. Even if you can only invest Rs. 5,000 or even Rs. 2,000 in a month, you can still build a decent portfolio over the years. Yes, you surely would need some knowledge to pick great stocks but this is not something which only a financial expert can do. Thanks to the internet, you now have all the resources available mostly for free to help you understand the market better. From research tools, company announcements, to the latest news, you can now find everything on the internet. Moreover, modern brokers now provide all of this to their members to make things more convenient. So, it is not really about being an expert but how much time you can spend on educating yourself. Recent IPOs such as Avenue Supermarts Ltd. and their unimagined success have made IPOs very popular among new investors. There is now a widespread belief among new investors that IPOs mean quick profits. But you should know that for every single highly successful IPO, ten other IPOs fail to deliver. Avoid this IPO myth to protect your investment capital. If you want to invest in an IPO, do so based on real financial data of the company and industry insights. Do not blindly invest expecting it to give you returns. While large-cap BSE or NSE stocks generally have a decent track record, they are not really known to generate high returns. They have already come a very long way in the last several years and are very commonly picked by investors. So, while they can generate decent returns, you should not really expect very high returns from them. This also means that you should avoid investing all of your money in a particular large-cap company or just large-cap companies. Create a balanced portfolio with large-cap, mid-cap, and small-cap companies. The exposure to each can be decided based on your risk appetite. If you have ever heard any of the things discussed above, you now know that they are not really true. Just like the ones listed above, there are several other stock market myths that can make you lose highly rewarding investment opportunities. So, rather than believing everything that you read or listen, you should always try to do your own research. While things can look a little complex and confusing initially, stay focused and educate yourself to avoid such myths and sharpen your trading or investment skills.